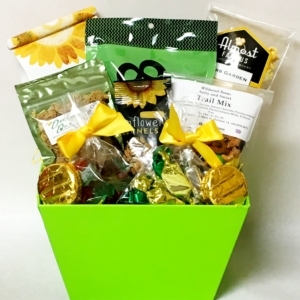 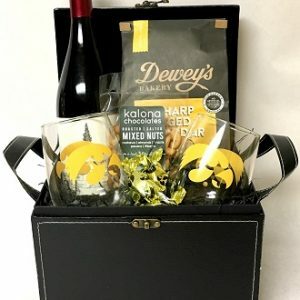 This basket includes a wonderful selection of delicious Iowa products. 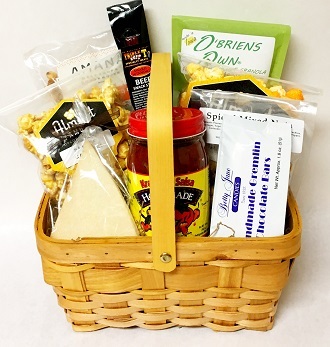 Inside is two flavors of Almost Famous Popcorn, Amana snack mix, corn nuggets, Wildwood Farms spiced nuts, Kramers Salsa, Betty Jane Candies Handmade Gremlin Bar, Perfect Blend Shortbread cookie, your choice of O’Briens Own Granola and Triple T beef stick. 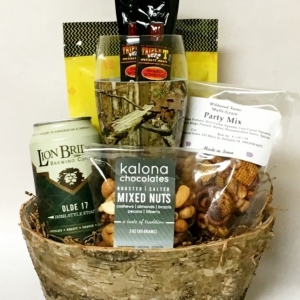 When ordering ask about the other flavored nuts from Wildwood Farms. 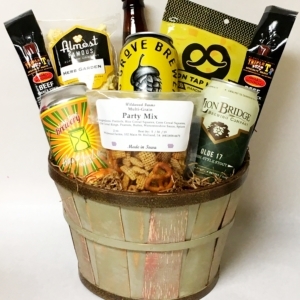 You may add other Iowa products to this basket.